Produced in a facility that also processes egg, milk, wheat, soy, peanuts, and tree nuts (pecans, almonds, coconut, cashews, walnut). 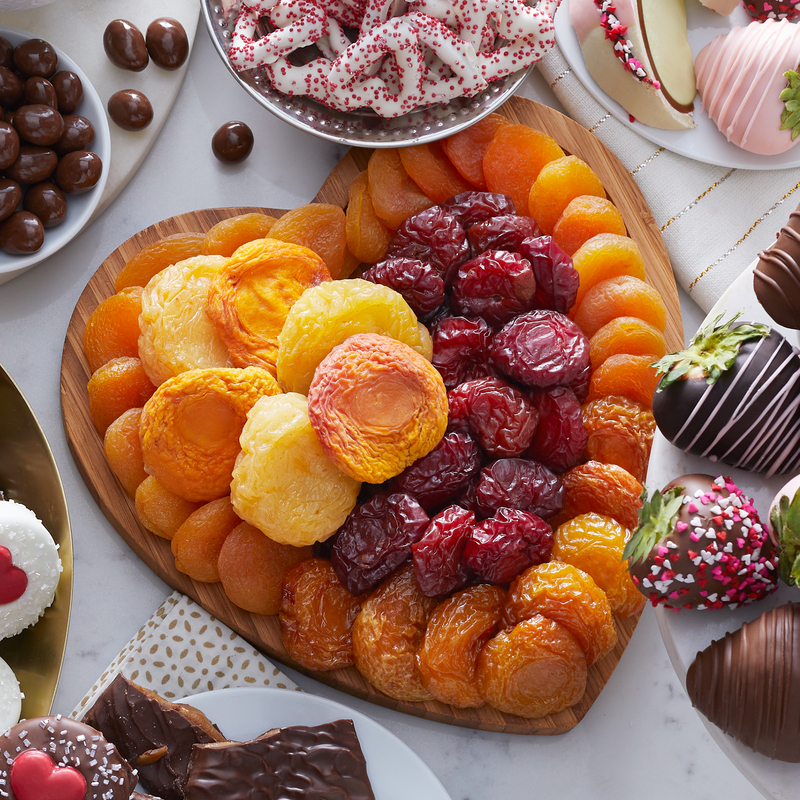 If you’re looking for a unique Valentine’s Day treat for the sweet people in your life, this delicious collection of dried fruits is perfect. 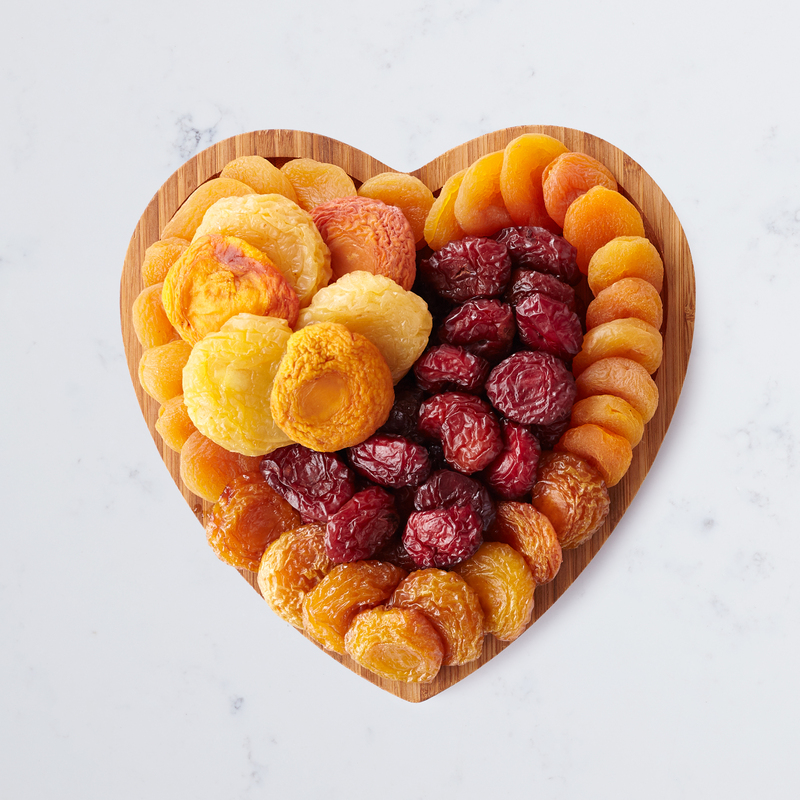 It’s filled with dried pears, peaches, plums, and apricots, all arranged beautifully on a reusable heart-shaped bamboo cutting board for a festive presentation. To ensure that your fruit arrives in perfect condition, we will ship your gift Monday - Thursday for delivery within the same week. Saturday - Monday delivery is not available for this item. Not available to ship to P.O. Boxes, PR, GU, VI, Canada, or Military. Perishable Items can only ship to AK & HI 2-Day Delivery or Overnight. Cannot ship to correctional facilities. Fruit items may ship separately from non-fruit items.